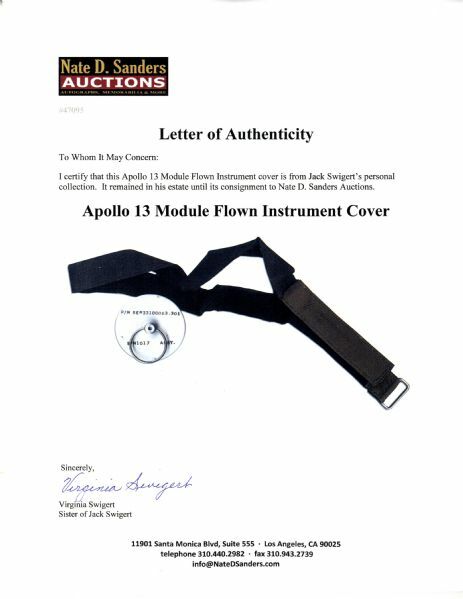 Lot of two items from Jack Swigert's estate. 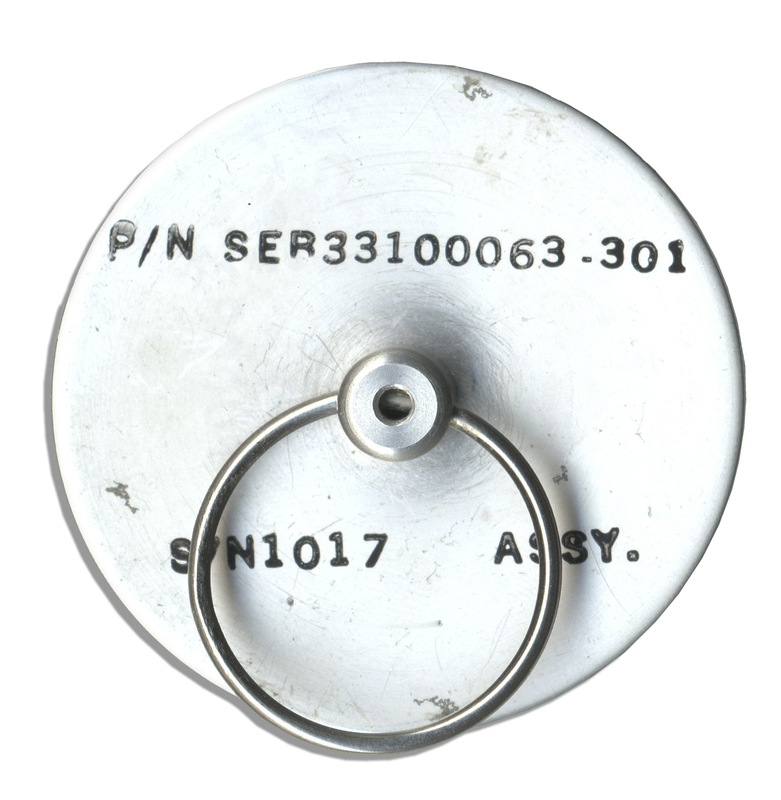 First item is an Apollo 13 flown instrument cover, measuring 1.75" in diameter, made of a stainless steel disc with an articulated ring at center. Above and below the ring are codes printed in black that read, ''P/NSEB33100063-301 / S/N1017 ASSY.'' 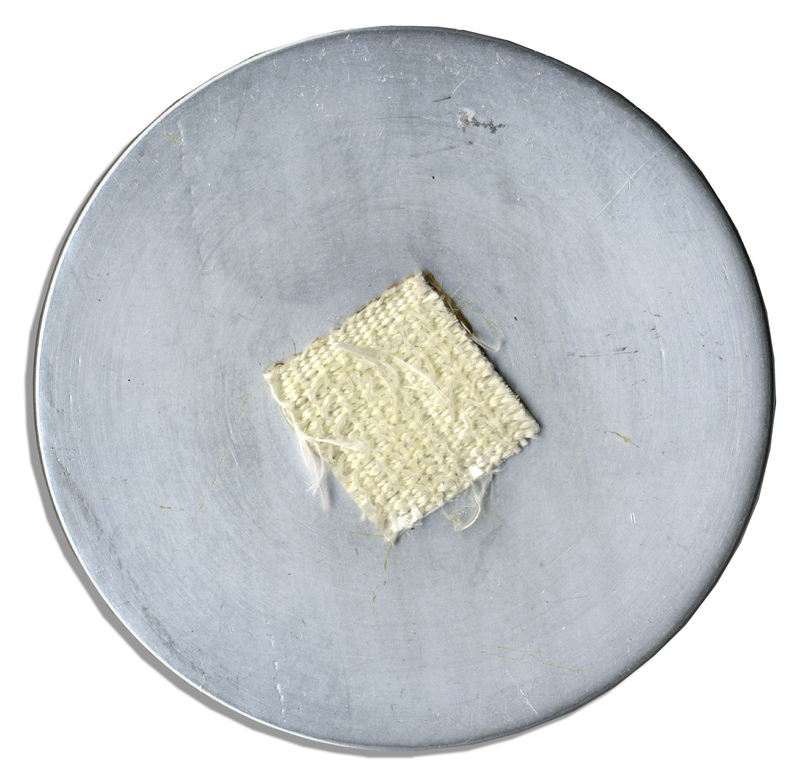 A small square of velcro is affixed to verso at center, certainly to secure cover in place in the weightless environment of space. Lot also includes Swigert's NASA issued Omega velcro watch strap, worn by Swigert over his space suit, and likely space flown. Velcro strap with metal fastener is imprinted with code numbers ''P/N SEB12100030-202 / S/N 1067''. Measures 22'' in length. 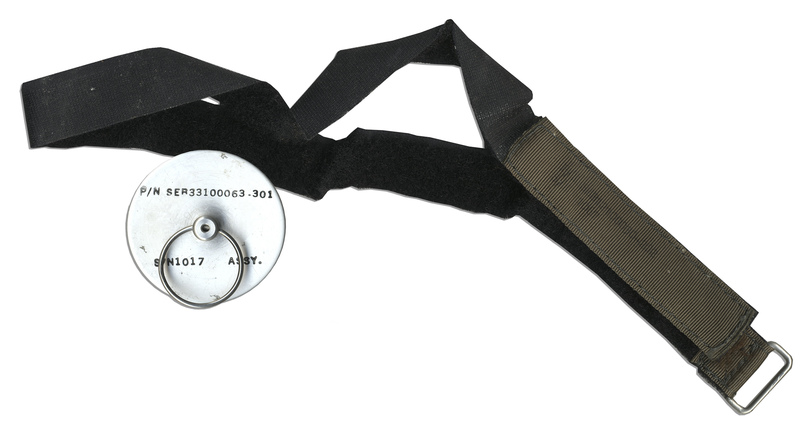 Some dulling and superficial marks to lid and soiling to velcro strap. Near fine overall. 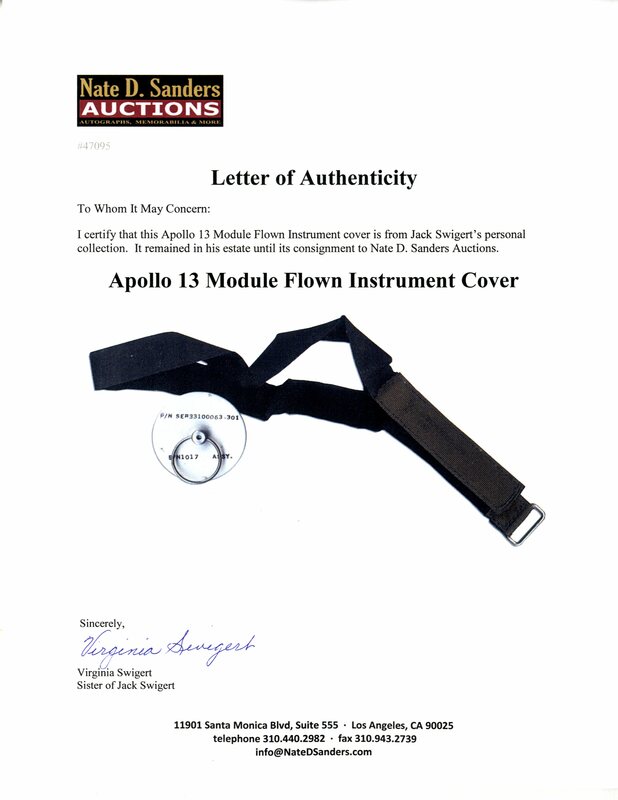 With an LOA from the estate of Jack Swigert. Auction closed on Thursday, May 29, 2014.